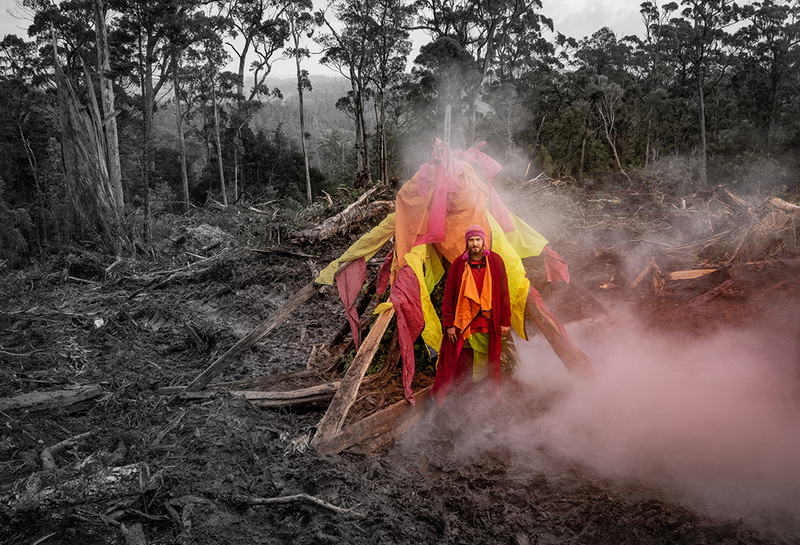 2018 – Photography by Dan Broun, Build assistants: Gabriel Thibault and Guillem Puig Arto. 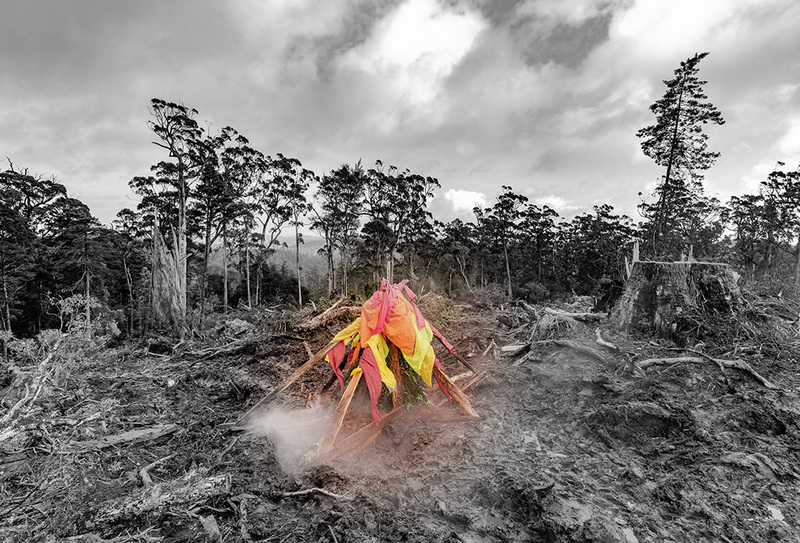 Installation produced as part of the annual Tarkine In Motion event by the Bob Brown Foundation. 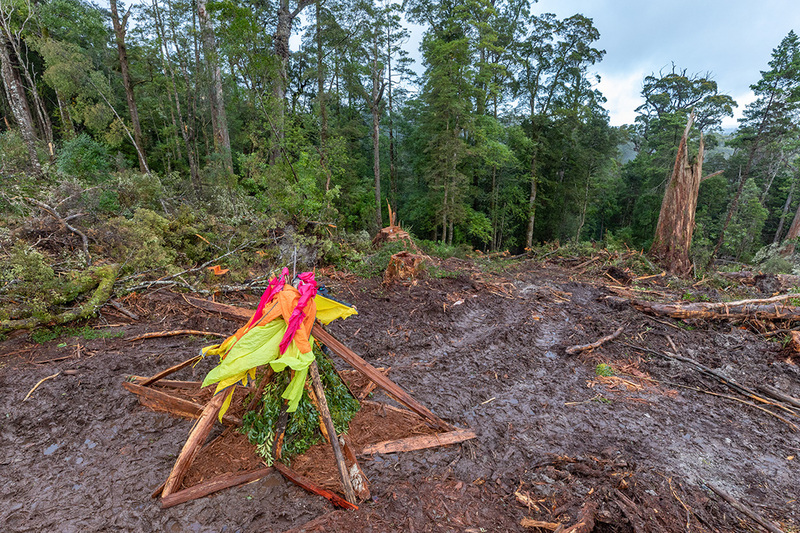 This artwork was installed in a logging coup in the Tarkine near Rapid River, North West Tasmania, a few days after the forest was “clear felled”, completely smashed. 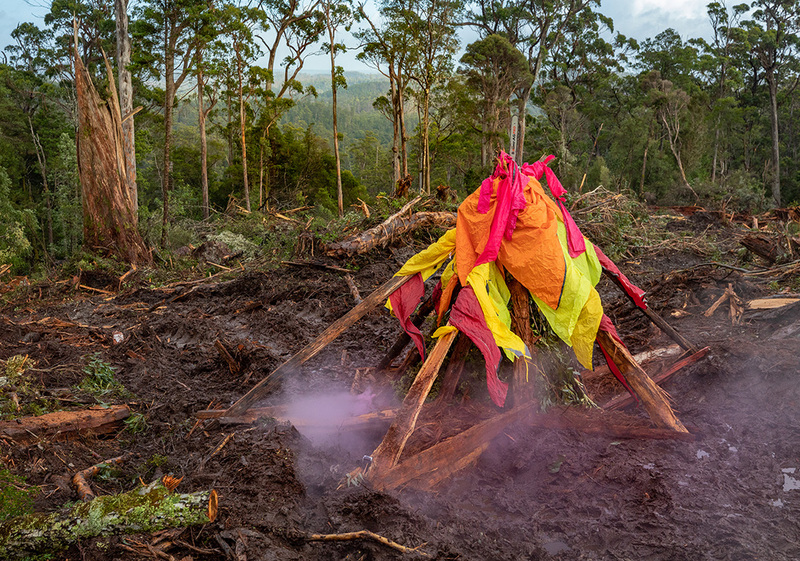 The loggers only remove a small amount of the timber, about 20%. Most of this timber is wood-chipped to make paper. The industry makes a massive financial loss, subsidized by the state. Charges are placed around the perimeter of the coup and then napalm is dropped from a helicopter, burning all the life from the deep mud. 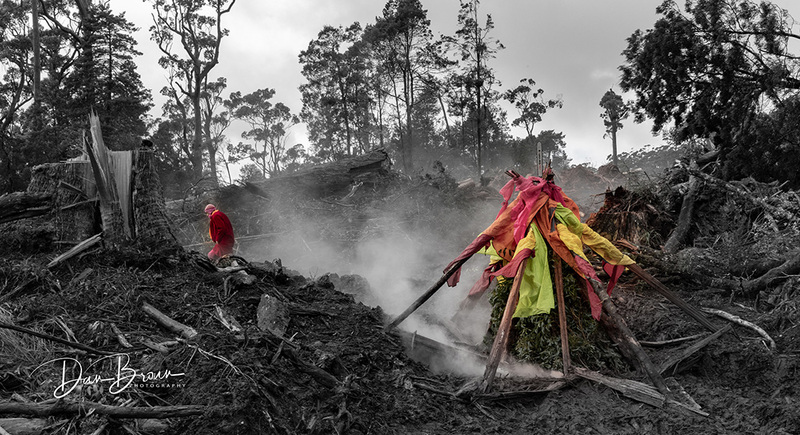 Mono-culture tree farms are planted in their place, likely to burn from bush fire. 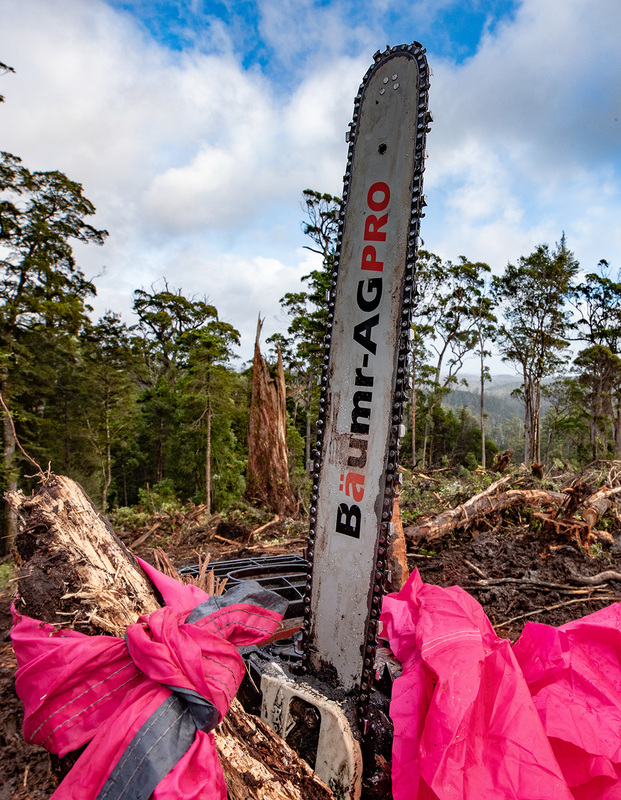 When the senseless logging ceases, the chainsaw becomes a benign artifact, no longer a weapon of ecocide or a symbol of the stupidity of man and his systems.